While Molly’s Game was one of the many films in contention during awards season — with Jessica Chastain scoring a Best Actress nomination at the Golden Globes — it only walked away with one nomination at the Academy Awards for Aaron Sorkin in the Best Adapted Screenplay category. While Sorkin also made a stellar directorial debut with Molly’s Game, his writing is what has truly made him a legend. Known for his quick, snappy dialogue, he’s responsible for some of the most iconic lines in movie history — including “You can’t handle the truth!” — and along with director Thomas Schlamme, he’s largely responsible for the now-iconic “walk and talk,” which my not seem like a big deal, but I assure you, it is. This Best Adapted Screenplay nomination is Sorkin’s third (he took home the award for The Social Network in 2011). He also boasts a handful of Emmys for his work creating and writing one of the greatest series of all time, The West Wing. In just two and a half decades, he’s created a body of work in film, television, and stage that has made him one of the most acclaimed living writers. This is the film that jump-started Sorkin into his long career as a screenwriter. Initially written as a play, the story follows the court-martial trial of a pair of U.S. Marines accused of murdering a fellow Marine, while being represented by an inexperienced Navy lawyer. As the trial progresses, a massive coverup at Guantanamo Bay Naval Base, where the film is set, is uncovered, leading to one of the most famous courtroom exchanges in movie history. The star-studded film included Tom Cruise, Jack Nicholson, Demi Moore, Kevin Pollak, Kevin Bacon, and Kiefer Sutherland. This political romantic comedy of sorts follows the titular widowed president as he meets and falls in love with an environmental lobbyist in the middle of his bid for reelection. Their budding relationship is rocked when her environmental bill and his crime bill are pitted against each in congress, with each of their political futures potentially derailed by the outcome. Michael Douglas, Annette Bening, and Michael Sheen star in the film, which also helped inspire may aspects of The West Wing. Sorkin’s first foray into television was a sitcom based on the behind-the-scenes inner workings of a sports show a la ESPN’s SportsCenter. Sadly, the show was canceled after two seasons, but it lives on as Sorkin’s greatest foray into the world of sitcoms. It starred Josh Charles, Peter Krause, Felicity Huffman, Joshua Malina, Sabrina Lloyd, and Robert Guillaume. If there’s one television show everyone should watch, it’s The West Wing. The political drama centered around the president and his White House senior staff throughout the two administrations of Democrat Josiah “Jed” Bartlet’s presidency. There’s so much to say for this show that it would require its own 2000+ word essay, but know that the show was one of the most critically acclaimed series during its run and is responsible for shaping many of the TV tropes used today. The series also boasted one of the most incredible ensemble casts throughout its seven-season run, including Martin Sheen, Allison Janney, John Spencer, Bradley Whitford, Richard Schiff, Stockard Channing, Rob Lowe, Dulé Hill, Joshua Malina, Jimmy Smits, and Alan Alda. 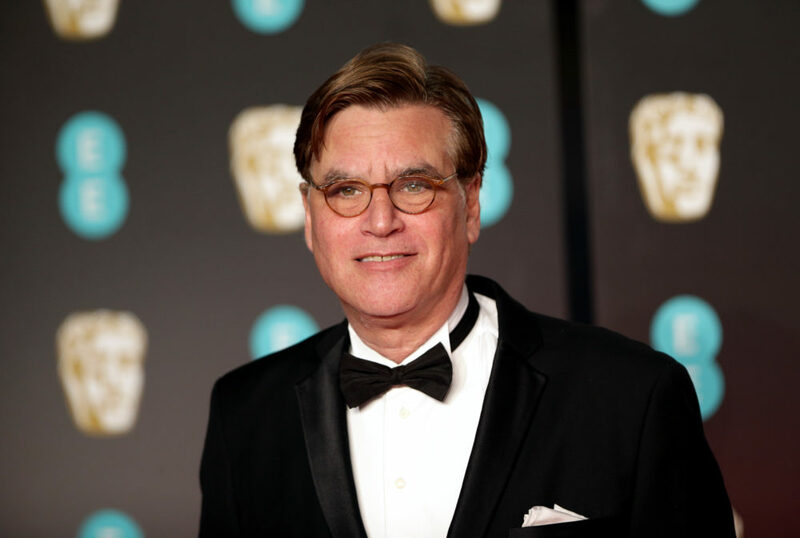 Following a decade largely spent working in television, Sorkin made his return to film, writing Charlie Wilson’s War. The story follows the titular Texas congressman as he forms an alliance with a CIA operative through a friend to form Operation Cyclone, as part of a covert attempt to assist Afghan freedom fighters during the Afghan-Soviet War in the 1980s. The film starred Tom Hanks, Julia Roberts, Philip Seymour Hoffman, and Amy Adams. Based on a book written about the social networking site everyone on the planet has heard of, the film follows the founding and early days of Facebook and the very dramatic lawsuits that followed as the website became the biggest platform on the internet. The film, which earned Sorkin his Oscar, starred Jesse Eisenberg, Andrew Garfield, Armie Hammer, Max Minghella, Rooney Mara, and Justin Timberlake. Based on a 2003 book of the same name, the film follows Oakland Athletics general manager Billy Beane’s attempts to put together a winning lineup despite a limited players’ budget, using statistical analysis to scout prospects and underutilized talents, with the help of an assistant general manager. The film starred Brad Pitt, Jonah Hill, Philip Seymour Hoffman, Robin Wright, and Chris Pratt. Guys, this film made math cool again (if you weren’t already convinced). Lauded by the internet for one of the greatest five minutes of television of all time — when Jeff Daniels’ Will McAvoy rants about how America is not the greatest country in the world to a group of college students — this series followed the staff at a cable news network through various major news events. The series “covered” real incidents like the Deepwater Horizon oil spill and the Boston Marathon bombing, as well as the 2012 presidential race between Barack Obama and Mitt Romney. It starred Jeff Daniels, Emily Mortimer, Alison Pill, John Gallagher Jr., Dev Patel, Thomas Sadoski, Olivia Munn, and Sam Waterston. The film follows the personal and professional life of the enigmatic innovator between 1984 and 1998, throughout his early exploits as a cofounder at Apple, his life after being forced out of the company, his grand return, and the unveiling of the Mac. The film stars Michael Fassbender, Kate Winslet, Jeff Daniels, Seth Rogen, Katherine Waterston, and Michael Stuhlbarg.